LaValle J. Menke, 81, of Rosebud, Missouri, passed away on Tuesday, November 13, 2012 at Frene Valley Health Center South, Owensville, Missouri. Mrs. Menke was born in Berger, Missouri on June 6, 1931, the daughter of the late Irvin J. and Evelyn M. (Willimann) Diederich. She was the wife of Melvin H. Menke. They were married January 24, 1953 at St. Louis, MO. Melvin survives in Rosebud. LaValle is also survived by a daughter Cynthia L. Wehmeyer & husband Charles of Rosebud, a son James I. Menke & wife Wanda of Bland and a daughter Christina "Tina" E. McCurry & husband Douglas of Rosebud, a brother Norman Diederich & wife Mae Jean of New Haven, a sister Elaine Asami & husband Richard of Fresno, California, six grandchildren, three great grandchildren and many nieces and nephews. She is preceded by a daughter-in-law Annette Menke and a brother Larry Diederich. She was a member of United Methodist Church, Rosebud, Missouri and she was a homemaker. LaValle played the organ and piano at many churches and gave piano lessons to many children. She was a seamstress for many years and made a lot of wedding dresses for people. Visitation will be Thursday 4:00 to 8:00 p.m. at Toedtmann & Grosse Funeral Home, New Haven, Missouri. Funeral Services will be held at the funeral home on Friday, November 16th, at 11:00 a.m., with Rev. Bill Hafley officiating. Burial will be at St. John's Cemetery, Berger, Missouri. 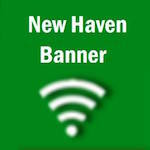 Memorials may be given to New Haven Music Booster. C/O Toedtmann & Grosse Funeral Home.